We kick off this week with a digital painting over a photograph that I took at South Charleston’s Summerfest Car Show. 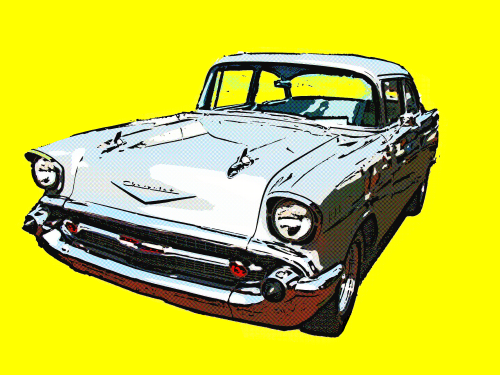 It’s the current object of my car lust, the mid-1950s Chevy Bel Air. WANT. Click to enlarge. And check back early in the morning for episode 189 of Radio Free Charleston, featuring Motion Theatre, Zeroking, Snakebox and Diablo Blues Band.